Bookseller Laurie is pretty sure love at first sight doesn't exist. After all, life isn't a scene from the movies, is it? But then, through a misted-up bus window one snowy December day, she sees a man who she knows instantly is the one. Their eyes meet, there's a moment of pure magic... and then her bus drives away. Laurie thinks she'll never see the boy from the bus again. But at their Christmas party a year later, her best friend Sarah introduces her to the new love of her life. Who is, of course, the boy from the bus. Determined to let him go, Laurie gets on with her life. But what if fate has other plans? 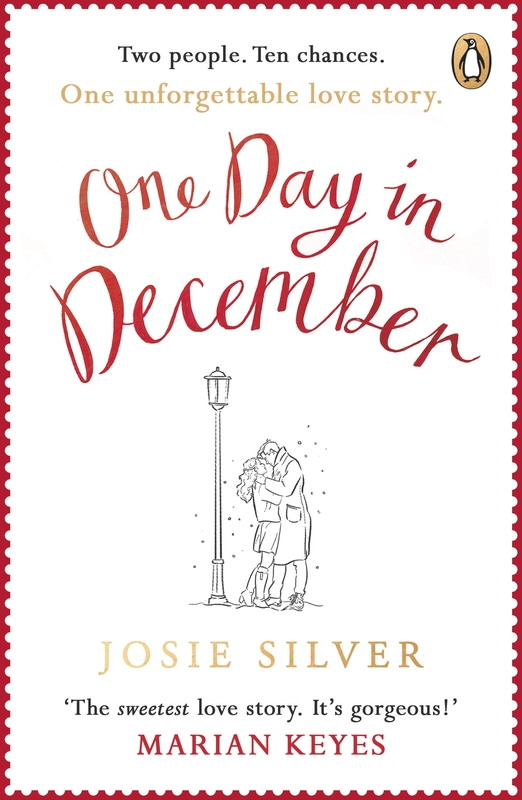 Following Laurie, Sarah and Jack through ten years of love, heartbreak and friendship, One Day in December is a joyous, heart-warming and immensely moving love story that you'll want to escape into forever, for fans of Jojo Moyes, Lucy Diamond and Nicholas Sparks.